Billions of LF, HF and UHF RFID tags have already been sold worldwide as the RFID industry continues to experience consistent growth. 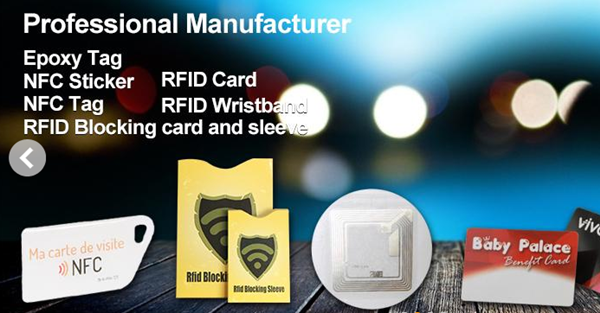 RFID tags for sale, The low frequency (LF) tags works on 125kHz, 134kHz frequency bands and high frequency (HF) tags works on 13.56 frequency used in all countries. Whereas, frequency allocations of UHF depend on geographical locations, such as most of North America, South America, and the majority of Asia using the various frequencies within the 902-928 MHz band while Europe uses the 865-868 MHz band. Are RFID tags for sale used globally? Most countries have assigned the 125 kHz or 134 kHz area of the radio spectrum for low-frequncy systems, and 13.56 Mhz HF is used around the world for high-frequency systems. But UHF RFID systems have only been around since the mid-1990s and countries have not agreed on a single area of the UHF spectrum for RFID. Europe uses 868 MHz for UHF and the U.S. uses 915 MHz. Until recently, Japan did not allow any use of the UHF spectrum for RFID, but it is looking to open up the 960MHz area for RFID. Many other devices use the UHF spectrum, so it will take years for all governments to agree on a single UHF band for RFID. Government’s also regulate the power of the readers to limit interference with other devices. Some groups, such as the Global Commerce Initiative, are trying to encourage governments to agree on frequencies and output. Tag and reader makers are also trying to develop systems that can work at more than one frequency, to get around the problem.